La Collab is a collaboration project between home decor brand Stylodeco and Capsule Collection by Juliette. As female entrepreneurs, Stylodeco’s founder Helene and I both strongly believe in women empowerment. We do believe also that women can do and go further when they join forces. 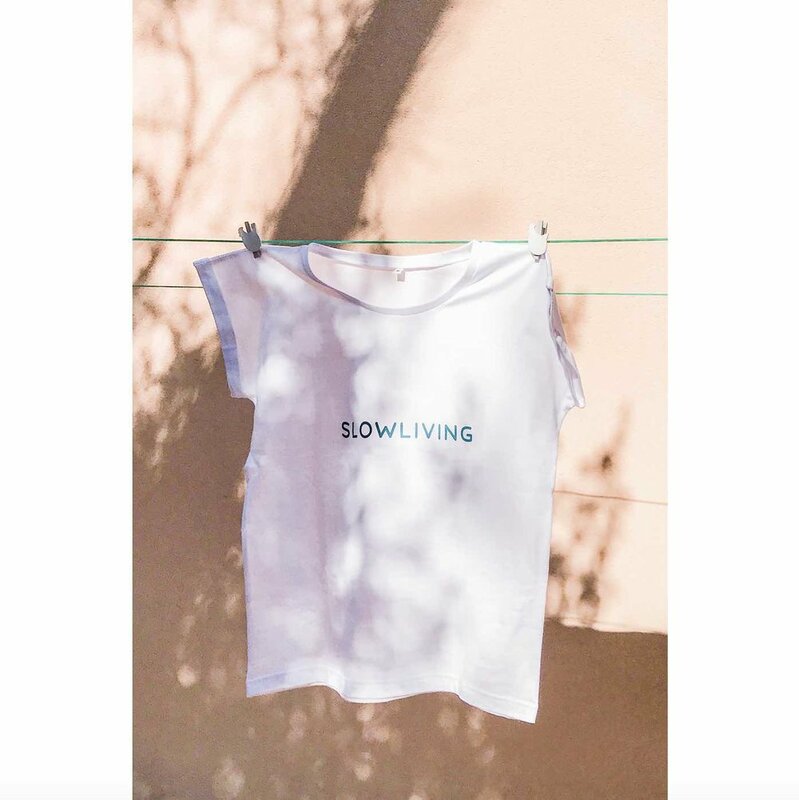 To help the most vulnerable women in our community, we have designed a collection of 4 slogan tee-shirts in limited edition. 50% of our proceeds will go to AIDHA, an award-winning, Singapore-registered charity. Made with soft cotton fabric, our comfortable white slogan tees are a stylish addition to your wardrobe. Choose one (or more!) of our 4 prints and dress them up with your favourite pair of jeans or any pants or shorts from Capsule Collection by Juliette for an effortlessly chic look. While facilitating women empowerment. Look good, Do good. What if happiness was the key to discovering a simpler, more fulfilling existence? Whatever happens tomorrow, let’s have fun today! Discover Aidha's mission and donate to support them here. Browse Stylodeco's stylish selection of home decor accessories and furniture here.